Before the web and cable news made them ubiquitous you actually had to order your “year in review” roundup on film. Momentous events of 1946! Filmed ’round the world as history Was made! The greatest and most dramatic news stories packed into one thrilling reel of authentic movies â€”now yours to own and treasure in future years. This tenth annual Castle Film, now world famous, is a “must” for every home-movie projector owner. A complete motion picture in one reel of all the year’s most important events! Order yours now! All this in ONE Film! â€¢ Atomic Bombings at Bikini! To All Projector Owners! 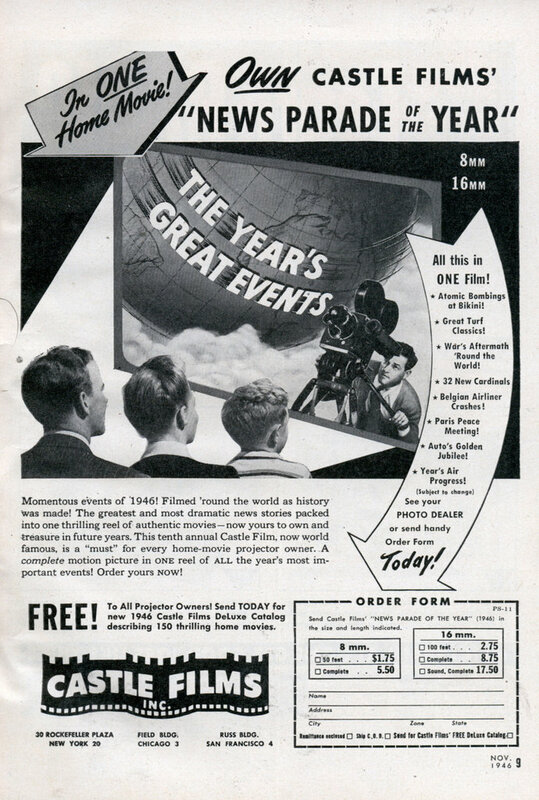 Send TODAY for new 1946 Castle Films DeLuxe Catalog describing 150 thrilling home movies. 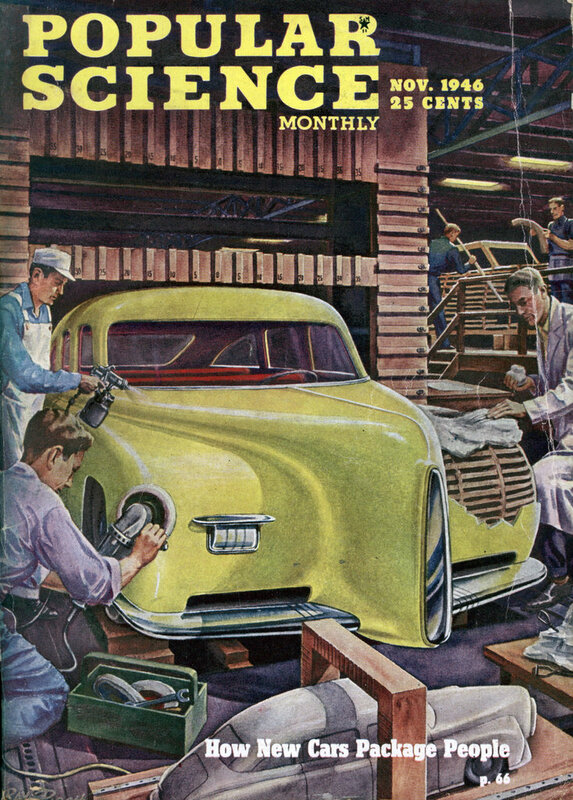 These defintely are going to be the “highlights” of 1946. Costing a full days pay, they had better be good!